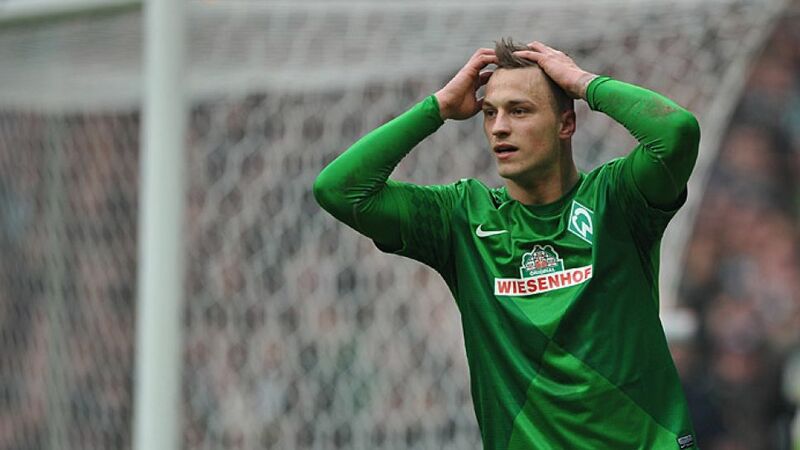 Bremen - Having earned his fair share of headlines over the years - and not always for the right reasons - is ready to hit the back pages for his on-field antics in 2013/14. The 24-year-old may never get a better chance to fulfill his undoubted potential. On the cusp of a new season, under a new coach, the Austrian international appeared completely at ease in his homeland for SV Werder Bremen’s summer training camp in Zell am Ziller. “I’ve had a chat with Arnautovic and he left a very good impression,” Bremen coach Robin Dutt told the local Tiroler Tageszeitung. “He’s very committed in training. Whatever happened in the past has no influence on my judgement." Dutt, like Bremen’s fans, are hoping to witness the best of Arnautovic this season, aware of what kind of a difference the former FC Internazionale Milano forward can make when in the right frame of mind. Even former Inter coach Jose Mourinho praised Arnautovic as one of the most talented individuals at his disposal during the Italian Serie A club’s triumphant 2009/10 campaign. Said brother-in-arms was none other than another enfant terrible, Mario Balotelli, who, despite the odd recurring incongruity, has at least delivered partially on his potential by becoming one of Europe’s star performers. There is no question that Arnautovic has the talent to do the same. He showed glimpses of his ability in 2012/13, most notably on Matchday 15 when he netted a hat-trick against 1899 Hoffenheim. His compatriot and Bremen icon Andreas Herzog has labelled him “the best [Austrian] player to take to the pitch in the last 30 years.” The time has now come for Arnautovic to prove he deserves such repeated recognition. He will get his first chance to so in a friendly against VfL Osnabrück on Sunday, although he, like the rest of his team-mates, has been ordered to put his feet up before the game. “Anybody I catch doing sport tomorrow will be in trouble,” said Dutt at the end of what he hailed as a “successful training camp overall." So far so good for Bremen's maturing bad boy.